Home Products Peacock feather chic pen 16\"
A feathery brand of creative writing. 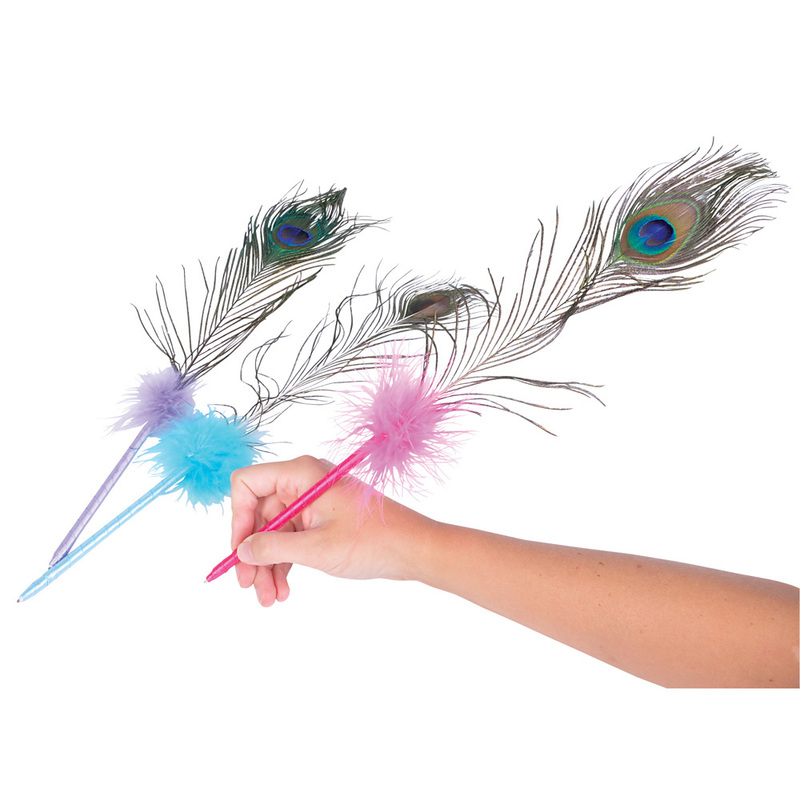 These novelty pens feature colorful fur accentuating an intricate feather arrangement. Includes cap.